The 5500 air seeder is available in 60ft, 70ft and 80ft models and has a flexible frame that follows terrain well, which results in even and consistent seeding depth. Flexi-Coil’s patented variable packing pressure system, which allows weight to be transferred between the front and rear sections, is also a key feature of the 5500, enabling adjustment of packing pressure by as much as 30 percent as field conditions change. Noting Australia’s susceptibility to uneven terrain and variable soil types, and the need for high stubble clearance, Flexi-Coil Australia Brand Leader Steve Mulder says the 5500 seeders maintain even packing pressure across the width of the bar, and since there are no wheels in the frame it has excellent trash flow. “These seeders are engineered with precision technology and it’s a rare find in that they’re not parallelogram. This is a straight tyne machine which is highly adjustable to ensure minimal soil disturbance and good soil to seed contact, whatever the ground you’re dealing with,” Steve says. 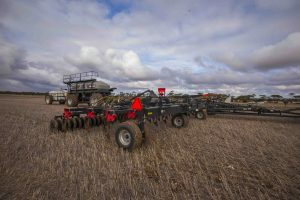 Flexi-Coil introduced the 80ft 5500 air drill last year and Steve says several have sold to several large producers in the wheatbelt of Western Australia and New South Wales. “We recommend that you pair the 5500 air drill with a Flexi-Coil 60 Series air cart, but that is optional of course. However, so far all those 80ft models we have sold have been with a 60 Series cart,” Steve says. The Flexi-Coil 60 series air carts are ideal for broadacre farmers growing cereals, legumes and oilseeds. The range includes seven air carts, with capacities up to 33,000 litres. Growers who buy the 5500 air seeders fit them with their own single or double shoot openers depending on the type of soil they work in.  Flexi-Coil has 50 dealers across Australia. Speak to your local dealer about demonstration days.